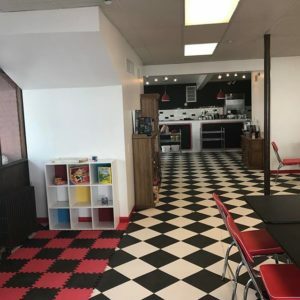 Hello, and welcome to House Rules Cafe, Hudson NY’s Board Game Cafe! We have a carefully curated collection of board games, for all ages, experience levels, and preferences. Everything from the best family games to strategy-heavy, multi-hour epics. Our tables are the perfect size, with comfortable seating and a welcoming atmosphere. We also have Meg’s Corner, especially designed for the little ones, with games and toys on a soft foam mat. Our menu is American comfort food – hot and cold sandwiches, sides that surprise, and healthy options that are child-tested and adult-friendly. We are proud to offer coffee from Thrive Farmers, a unique coffee company that works directly with farmers in Central and South America in order to offer a variety of blends and single-origin coffees. Our tea is from Nepal Tea LLC, a socially conscious company from New Jersey that imports and sells Nepalese teas while supporting the communities in which they’re grown. We recently received our beer & wine license, and have a growing list of affordable and delicious artisanal wines & ciders by the glass, along with an international selection of craft beers and ciders by the bottle and can. We are open for breakfast Thursday – Monday. With Bread Alone bread, fresh baked NYC-sourced bagels, and Pura Vida gravlax, our menu is filled with truly unique options for either eat in or take out. We’re open in the afternoon and evening every day, with a menu that changes often. We’re doing something a little different with our games: instead of buying every game to come to market, we’re carefully choosing games that we’ve played and enjoyed. It’s the same idea as a gallery, or a boutique: curate the selection so we can best recommend the game to fit your desires and needs. We’re aware of accessibility issues with certain games, and happy to help find workarounds!